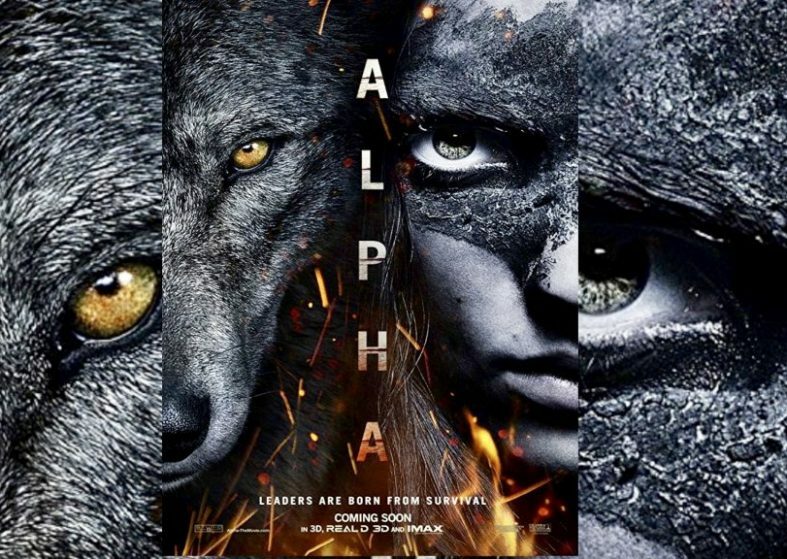 In yesterday’s blog entry, I talked about an inspirational movie, “Alpha”, that I saw recently and how it was all about survival, defying the odds, and never giving up. Can you name any other movie you might have seen before that’s similar in nature and has an uplifting ending? Inspiration to keep going for a person like me who’s struggling with chronic pain is often hard to come by, but when it does, it tends to arrive in unexpected ways, as it did when I watched the movie “Alpha” in the theater recently. Starring Kodi Smit-Mcphee as a young man mamed Keda, “Alpha” takes place some 20,000 years ago during the prehistoric past, where men and women live in small tribes, hunt for survival, and fight off the many perils that tend to threaten their very existence at every turn, ranging from the extremes of the natural elements to ferocious wildlife. As part of Keda’s tribal culture, he must go through a rite of passage into manhood by venturing out on their annual hunt for buffalo that takes them many miles from home. It becomes overly apparent from the onset though that Keda doesn’t feel quite up to the task, as he struggles early on in his attempt to start a fire and is unable to finish killing a wild boar for his father either. When he finally encounters the wild buffalo along with his tribe, his struggles continue when one suddenly charges at him, causing him to run in the opposite direction out of fear. As it attacks him, Keda’s clothing gets impaled onto one of its horns, which ends with him being thrown off a cliff in the process. As he lands on a narrow ledge far below and remains unresponsive to the cries of his father, he’s presumed dead and a sacred altar is left behind marking his passage into the next life. But when Keda awakes a day later to find a vulture pecking at his face and a badly injured left ankle and foot, he discovers his tribe is gone and must face the rite of passage into manhood alone, beginning with a very hungry pack of wolves who are hunting him down. When he injures the alpha of the pack and finds safety from the rest of them in the heights of a broad tree, he’s confronted the next morning with a moral decision to either kill the dying wolf or nurse it back to health. Opting for the latter, thus begins a spiritual journey within for a fearful young adult who’s fighting for survival, against all odds, by choosing to never give up, all in the hopes he’ll find his way back home once more. “Alpha” was truly an inspirational film for me, mostly because I saw myself in Keda’s shoes quite a bit throughout the movie. There have been so many times, especially as of late, where I’ve wanted to give up because the odds of making it through all of my suffering have felt utterly impossible. With pain bearing down on so many parts of me on a regular basis and one thing after another frequently causing me to feel like life is ridiculously upside-down, the desire to keep going just hasn’t been there more than not. Yet, somewhere deep within me something has kept me going, some desire to not give up, no matter how bad things may seem or get. And like Keda, who too fought through the very same feelings along his journey, all to simply make it home, my only desire has been the same, with my home being to reach a oneness and healing with God. So, in the end, for a movie that had no English-speaking parts and only subtitles throughout, and one that focused solely on a young man and a wolf doing their best to defy the odds of survival on a quest that seemed next to impossible, I became greatly encouraged on my own healing journey to not give up, and that alone was exactly the inspiration I needed and why I ultimately appreciated the movie “Alpha”.